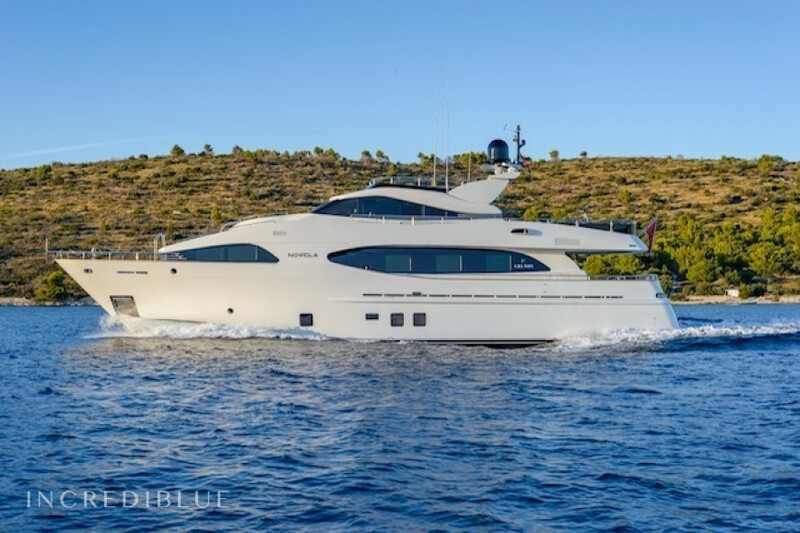 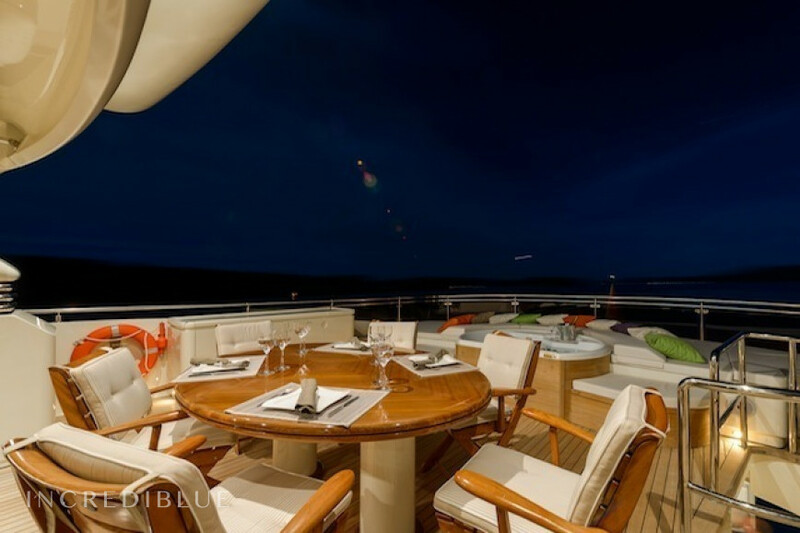 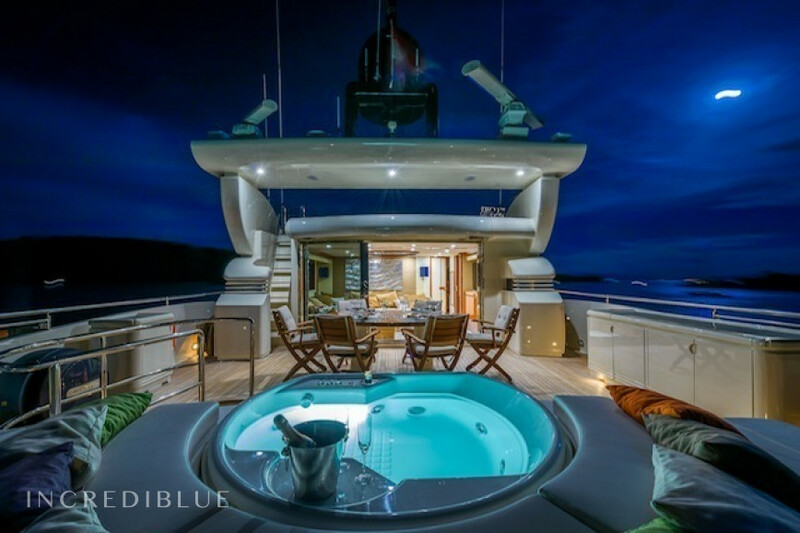 The superb Novela superyacht is the ideal boat for sharing a holiday with family or friends discovering Croatia. 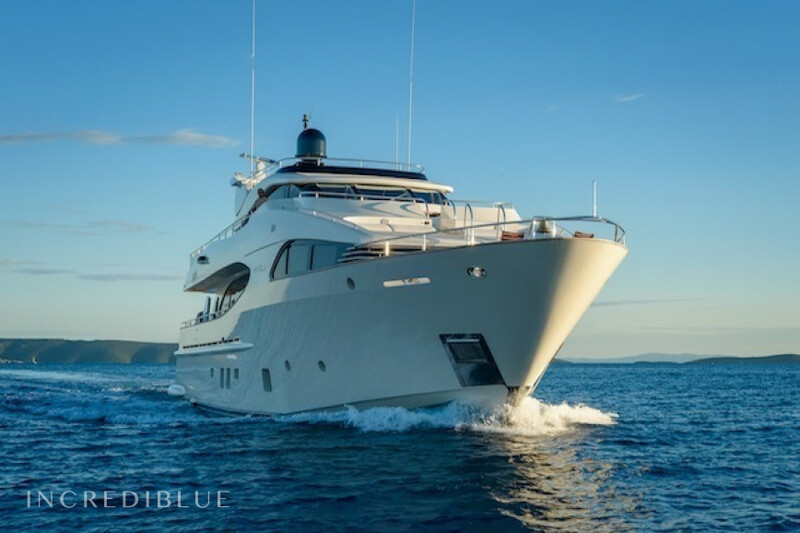 With more than 2000 km of coastline, Croatia will dazzle you with the most incredible natural scenery, while the luxury yacht Novela will provide you with the comfort and facilities you need. 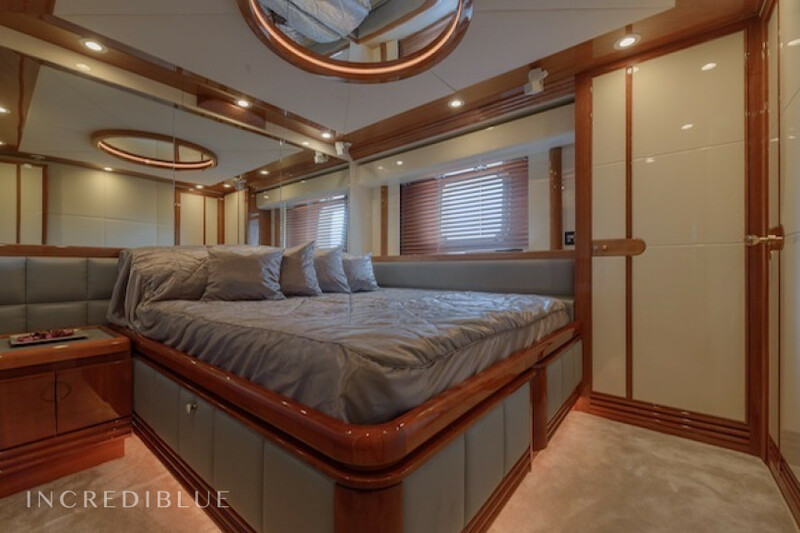 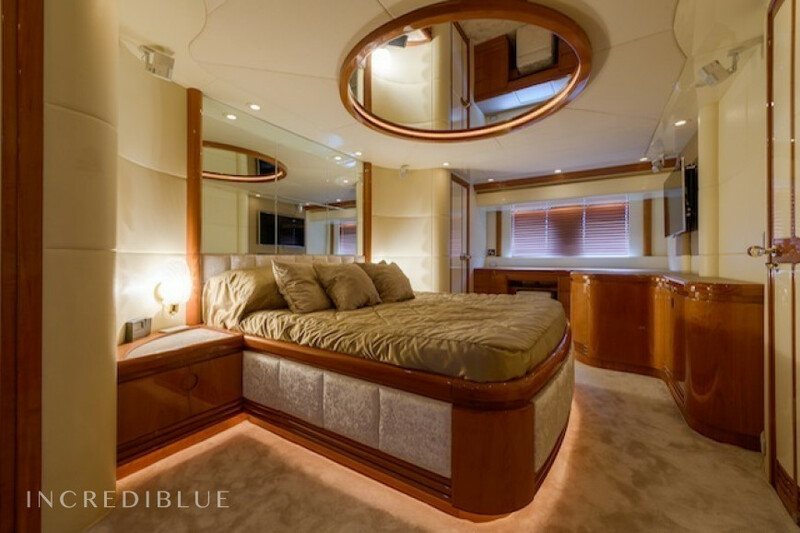 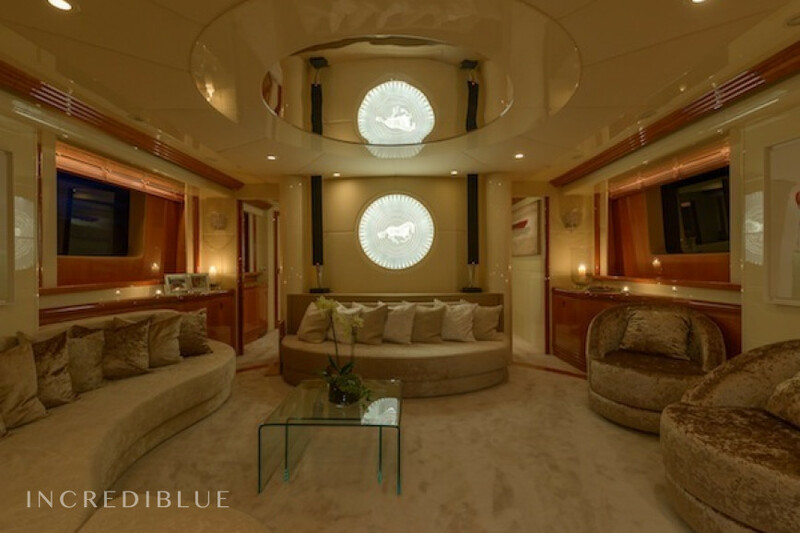 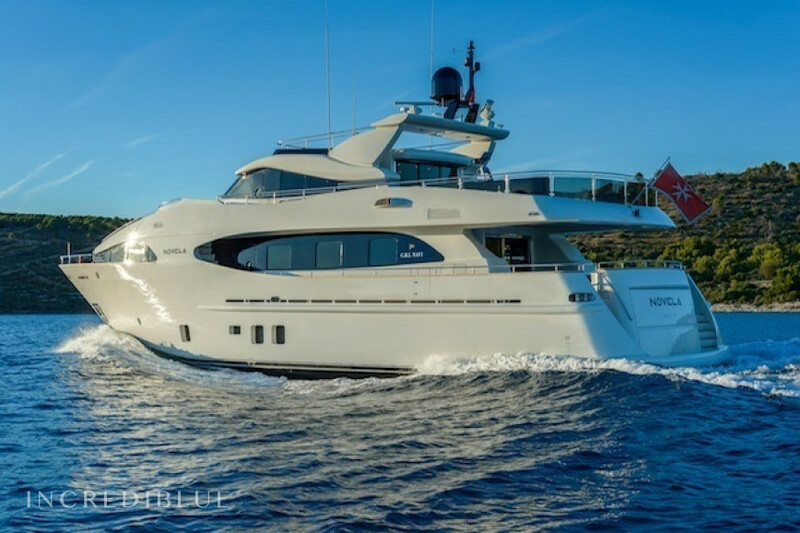 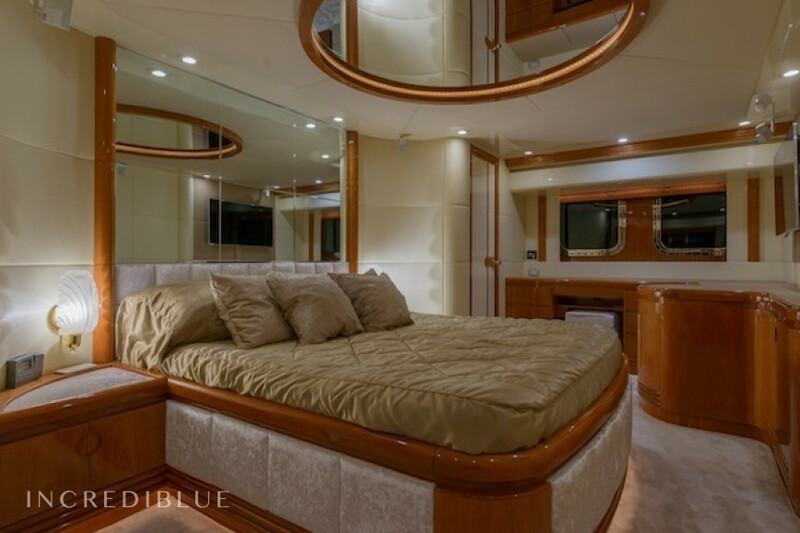 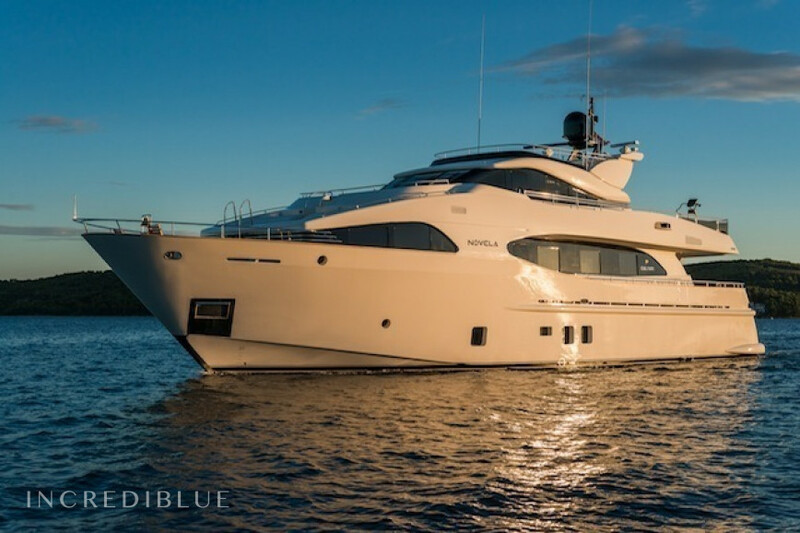 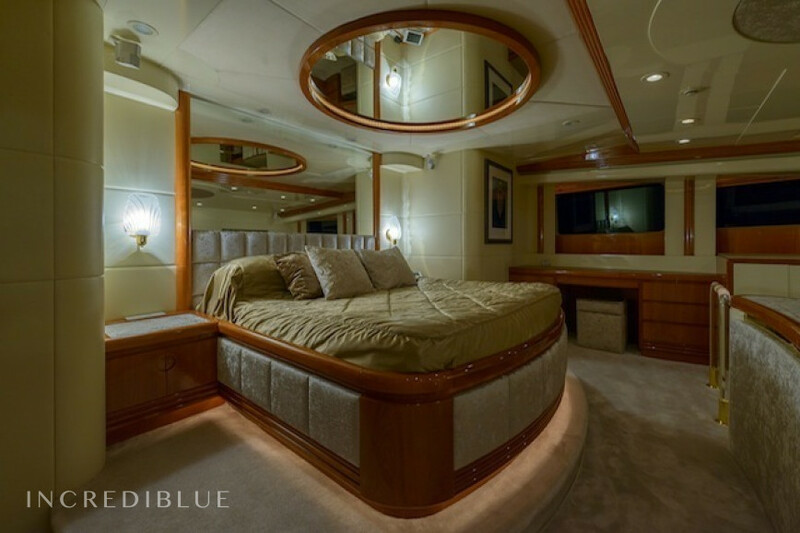 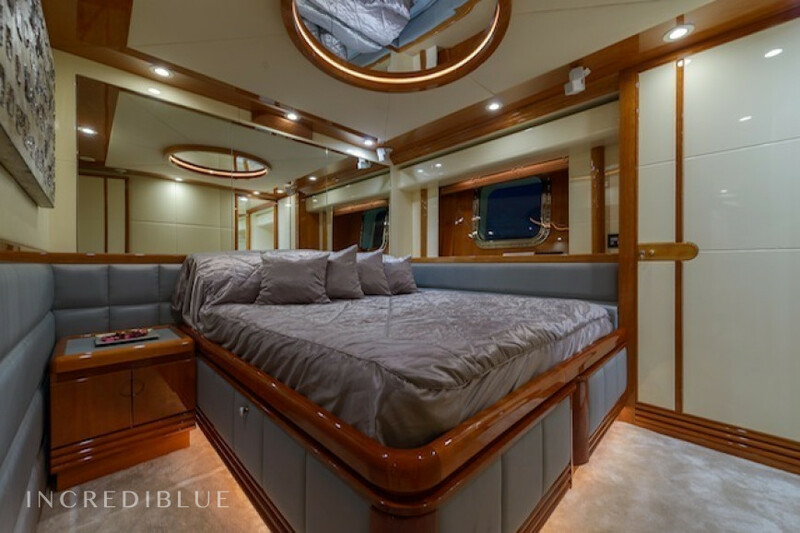 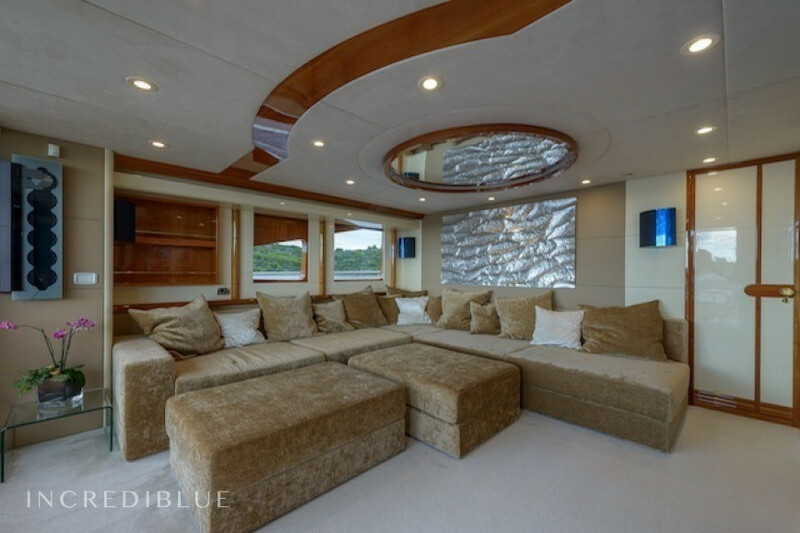 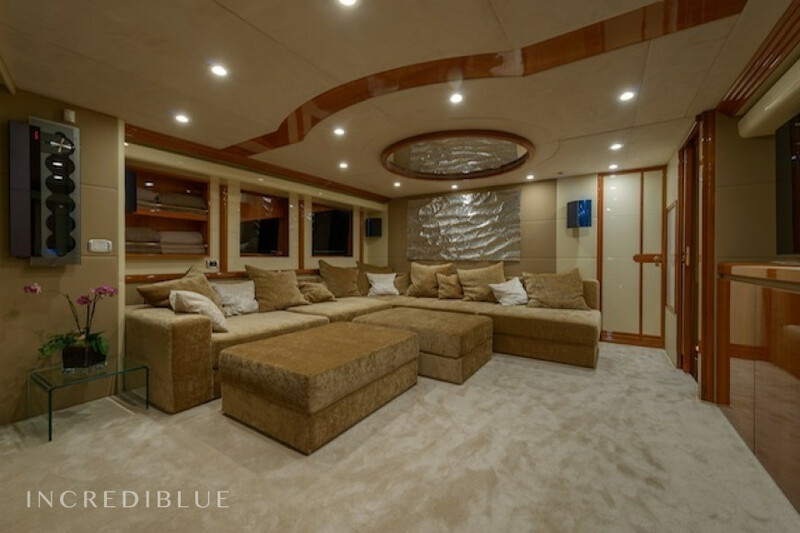 Novel is 98 ft long and has capacity for up to 8 people in 4 luxurious and spacious en suite cabins. 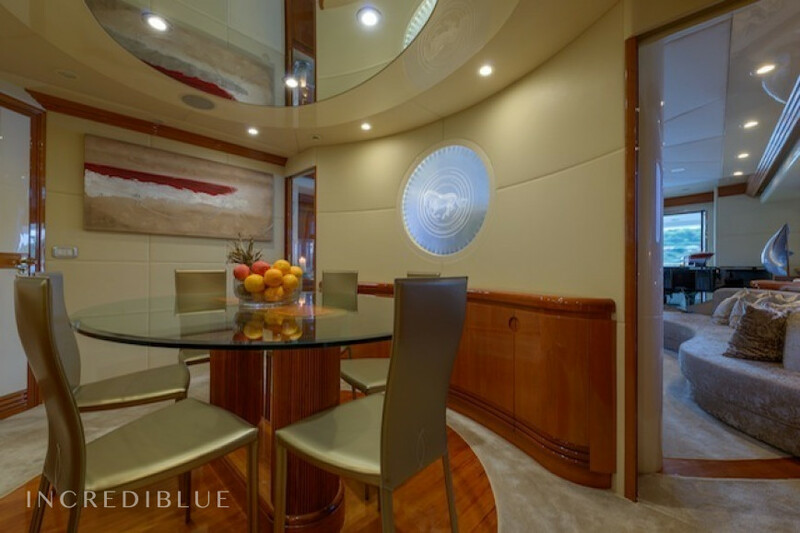 Her interiors are decorated in a series of warm colours and wooden furnishings, and the ceilings are adorned with circular mirrors that create even more spaciousness in the beautiful spaces. 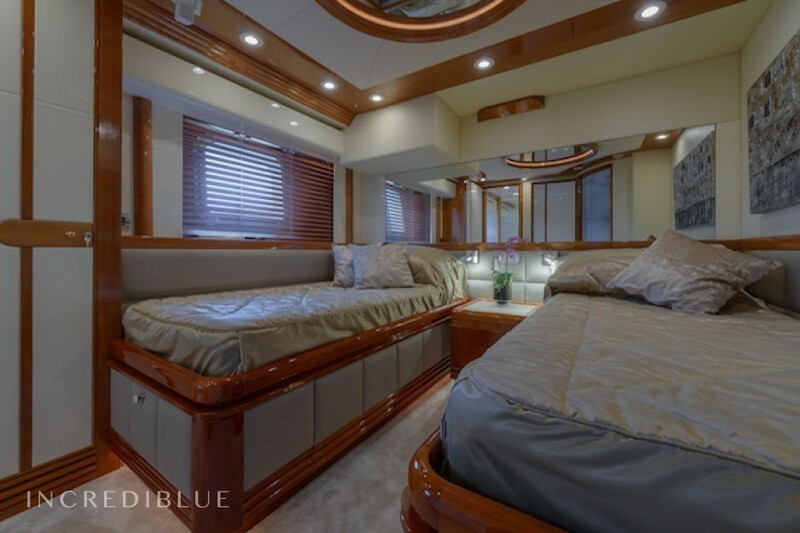 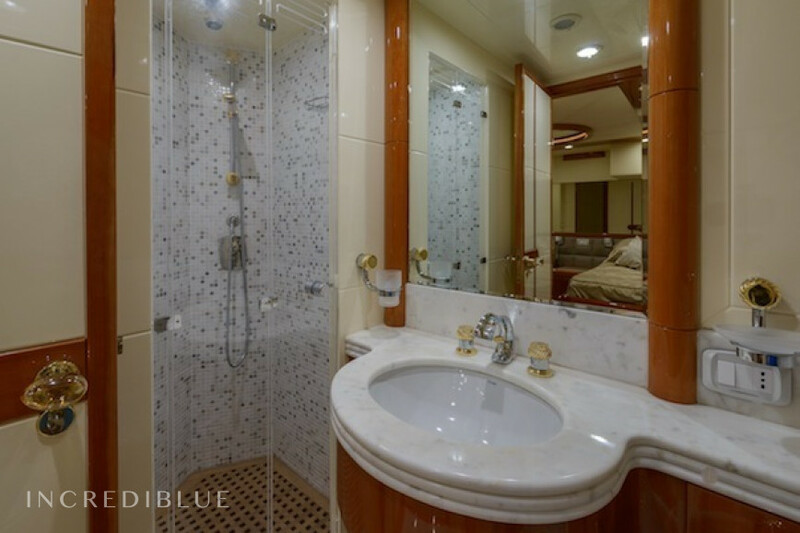 The main cabin has a double bed, a study and a dressing room, the VIP cabin has a double bed, and there are also two twin cabins. 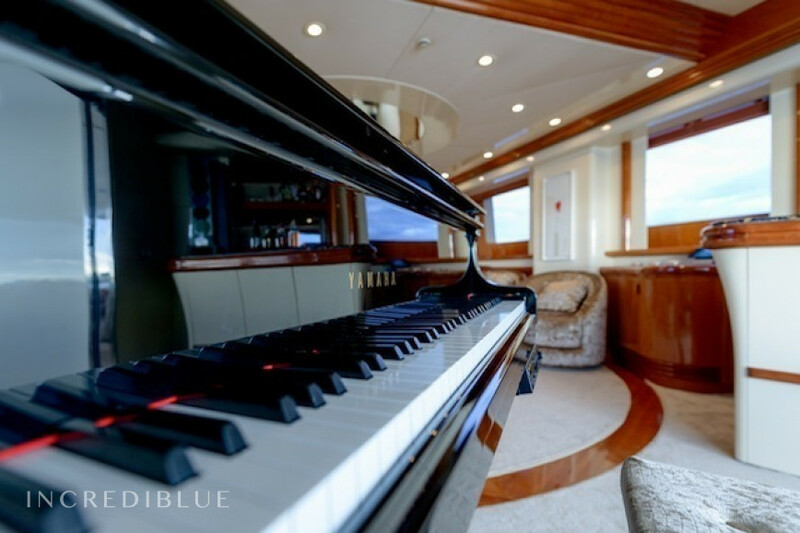 You will find multiple entertainment options aboard the superb Novela superyacht and she also comes equipped with water sport equipment. 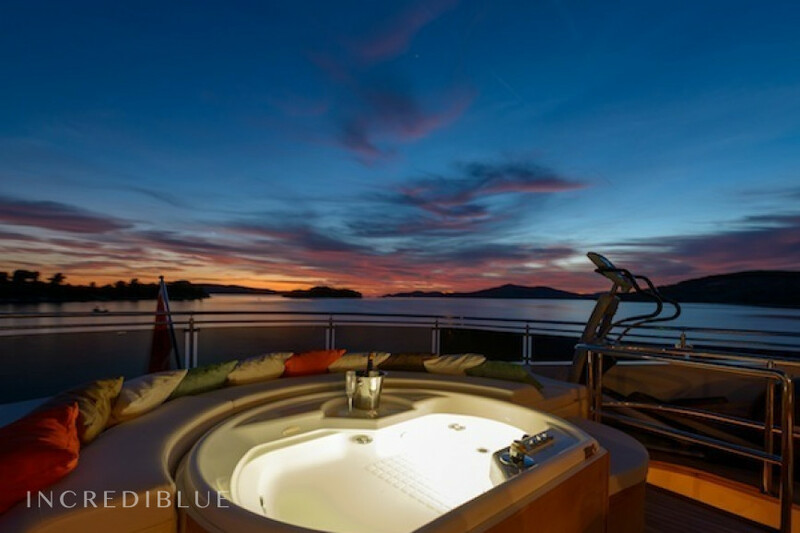 Sn lounging areas and a spectacular jacuzzi on the outdoor decks are perfect for spending the afternoons in the sunshine. 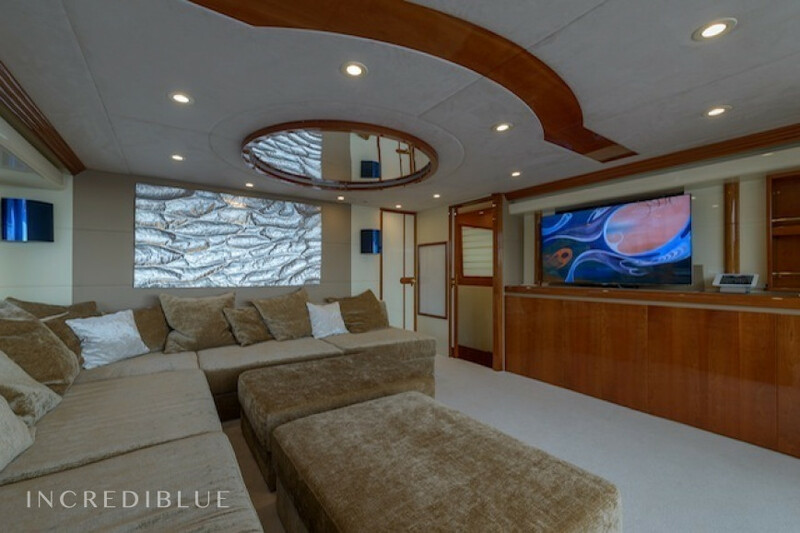 Inside, a room specially designed for watching the best movies and TV series has very comfortable sofa and a large television. 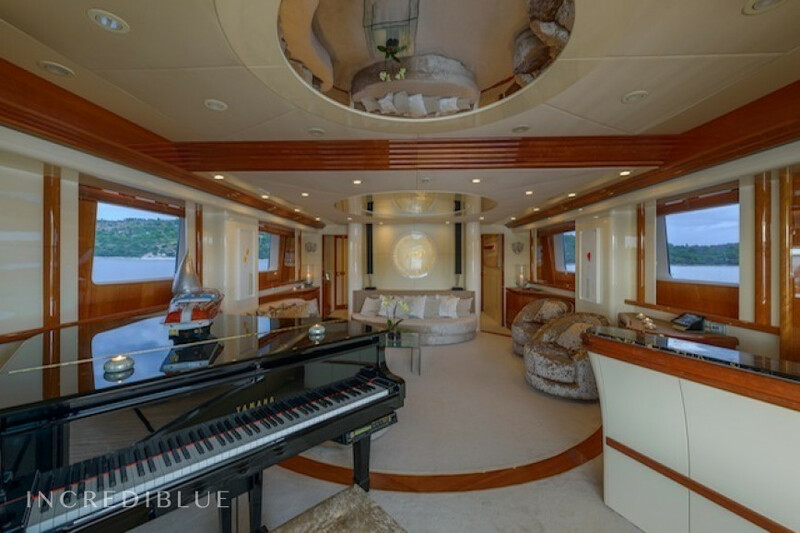 In addition, the main saloon and its curved sofas favour socialisation and relaxation, and if any guests wish to play the piano, they can do so at the beautiful piano on board. 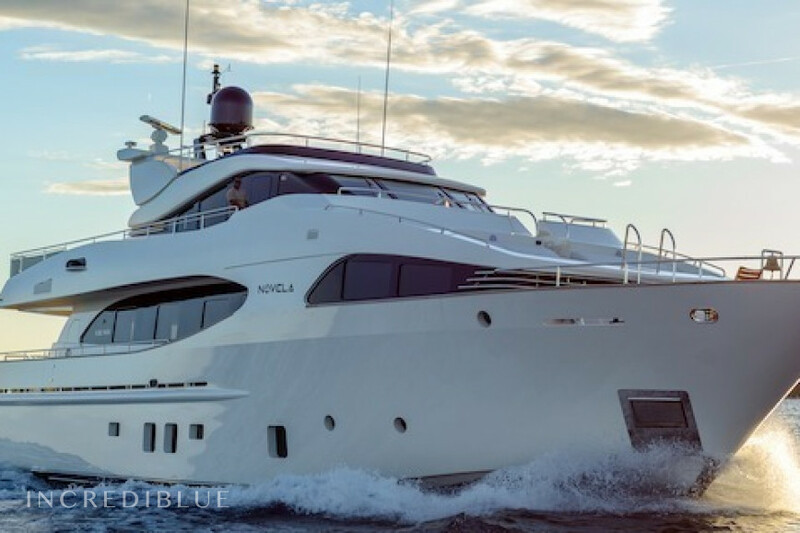 Novela is based in Trogir, near Split in the Dalmatia region. Your crew will guarantee you an unforgettable yacht charter experience with their nautical expertise. 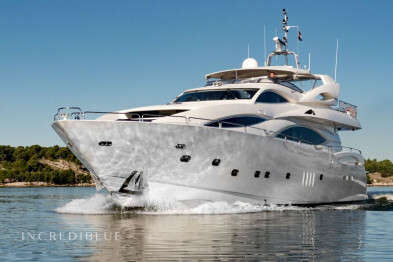 Engine power 2 x CAT 1050hp H.P.